Competitive Programme for 2018 – 19 available to view. Your club needs you. Please volunteer to help run our galas. Click HERE for more info. Warriors of Warrington is a competitive swimming club and all members are encouraged to compete in both internal and external galas. Click HERE for more info. Synchronised (Artistic) swimming combines swimming with dance and gymnastics. Perfect for the recreational or competitive artistic swimmers. Squad swimming returned to Great Sankey on April 8th. Please see new timetable for session times. Please note that on Monday morning session will be at Woolston until further notice. Warriors is a competitive swimming club based in Warrington, Cheshire, UK with over 250 swimming members. 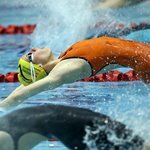 Swimmers over 6 years old and of all abilities are catered for from skill development through to National Qualifiers following national guidance for the development of competitive swimmers. Warriors of Warrington, in partnership with LiveWire’s Swim Training Scheme, aims to co-ordinate a structured development programme for swimmers aged 6 years and upward who show potential, and promote opportunities for their journey to the highest level in competitive swimming and synchronised swimming (artistic swimming). 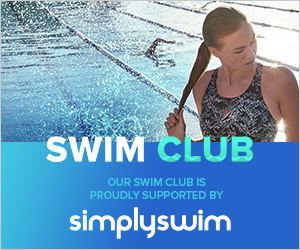 Warriors are a SwimMark Essential accredited club. 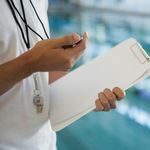 This is Swim England’s quality standard for clubs which recognises high standards of governance, sustainability and effectiveness. Click HERE for further information. Many Warriors swimmers have been on Regional, National and British talent development programs and the club have produced National and British age group and open champions. At the 2017 British Summer Championships the club won the prestigious ‘Most Improved Club’ Award which was created to recognise the importance that British Swimming puts on performing Season Best times at athletes benchmark meet. Click HERE for further information. Warriors swimmers have competed at Commonwealth, European, World and Olympic Games. Warriors is a Disability Swimming Hub Club and welcomes swimmers with disabilities and provides a supportive and inclusive environment to develop their skills and how to apply or exemptions and classifications required for competitions. Warriors also have Synchronised Swimming and a Masters Swimming squad. If you have any questions please use contact the club using the Contact Us form HERE. Click HERE to download a copy of our latest leaflet.